This is meant as a companion piece to my silent Soviet cinema primer from last year. It covers Soviet films from the beginning of the sound era – which, even more so than in most European countries – began much later than in the U.S. – through the collapse of the Soviet Union in 1991. As with most of these primers, I am limiting myself here to only one film per director. I will soon have a separate primer for movies made in Eastern Bloc countries outside of the Soviet Union that cover the same time span. Dziga Vertov’s follow-up to the revolutionary Man with the Movie Camera was also his first sound film and, while less well-known than its predecessor, is in many ways just as astonishing. It begins with a memorable sequence in which a woman is listening to the radio on headphones; we hear a cacophony of music and sound effects that rhythmically interact with a series of documentary shots of urban Soviet life that feel almost as if they could be outtakes from Man with the Movie Camera (though the aggressively anti-Christian nature of some of the images mark it as a more explicitly propagandistic work). What eventually emerges is a celebratory portrait of Stalin’s first five-year plan, focusing specifically on coal miners and factory workers in the Donbass region (the film’s subtitle is literally translated as Symphony of Donbass). 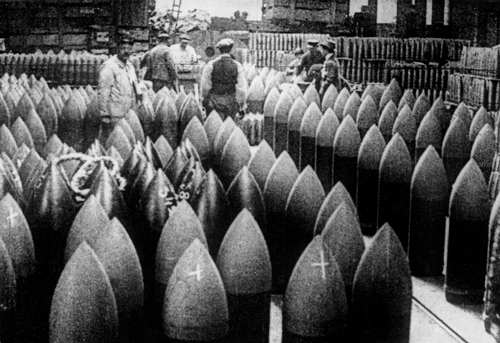 Vertov’s silent movies featured pounding editing rhythms but the addition of literal sound in Enthusiasm arguably leant his art a greater, more symphonic complexity. An essential work by one of cinema’s great avant-gardists. It seems somewhat curious that Vsevelod Pudovkin, a great director and film theorist, is less famous than Sergei Eisenstein (whose career spanned roughly the same time frame). In both the silent and early sound eras, Pudovkin showed just as much of a flair for associative montage as Eisenstein but, unlike his more theoretically-minded countryman, Pudovkin was more interested in wedding his radical editing techniques with traditional approaches to characterization and story construction. The story of Deserter, Pudovkin’s first sound movie, concerns Karl Renn, a German shipyard worker who “deserts” his striking co-workers and is consequently sent to the Soviet Union so that he can observe the virtues of proletarian solidarity firsthand. The use of sound is primitive (the film is often completely silent until an important sound effect or line of dialogue is required) but its implementation is still more creative than the strictly realistic use of sound being employed concurrently by Hollywood. Also notable for containing scenes that take place in Germany and feature German characters, unusual given the widespread anti-German sentiments in Russia at the time. The Ukrainian Aleksandr Dovzhenko was arguably the greatest narrative filmmaker working in the Soviet Union in the 1920s and 1930s and this early sound-era propaganda piece is one of his finest works. The plot is about the construction of an air field in remote far east Russia and, more specifically, the conflict it engenders between modern-day Bolsheviks and the rural and backwards “old believers” (read Orthodox Christians) who are being spurred on by Japanese saboteurs. 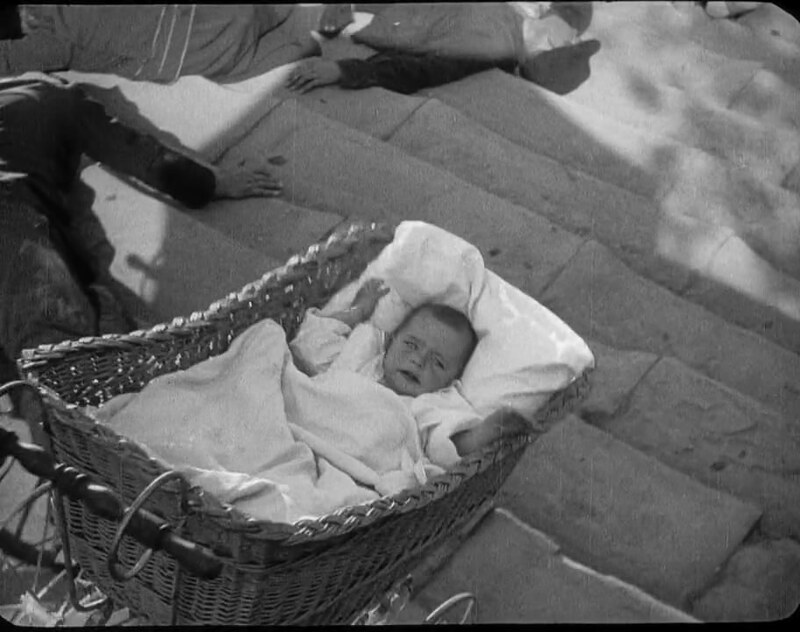 But you don’t watch Dovzhenko for the plot, much less the propaganda. You watch him for his famed passages of incredible – and purely cinematic – lyricism: a briskly edited scene of a Russian sharpshooter chasing Japanese spies through a dense forest, beautiful nautical and aerial photography (including a thrilling climax involving paratroopers), and even quiet moments like the radiant smile on the face of a Chinese woman after she’s given birth to the son of her Russian-pilot husband. Operatic and sublime. Sergei Eisenstein’s final movies were the first two parts of an unfinished trilogy about the life of the 17th-century military leader who crowned himself the first tsar of Russia. The films deal with Ivan’s attempts to unify his homeland while fending off both foreign invaders and would-be usurpers within his own inner circle. This has all of the virtues of Alexander Nevsky (spectacle, pageantry, a poetic view of history-as-myth, and a stirring Sergei Prokofiev score), minus the earlier movie’s more dubious pro-militaristic elements. Plus, in the second part (the release of which was delayed by a decade due to Stalin’s personal objections), there is a beautiful color sequence that resembles early two-strip Technicolor, and even a proto-campy musical number. This has my vote for being Eisenstein’s finest achievement. Veronica and Boris are young lovers in Moscow whose lives are interrupted by the outbreak of World War II. He is drafted and sent to the front while she becomes a nurse and is pressured into an unhappy marriage with his cousin. This film, a kind of bleak Russian cousin to King Vidor’s The Big Parade, was groundbreaking in terms of form and content: the extensive use of handheld camera was revolutionary for a pre-Nouvelle Vague narrative feature, and it is not only remarkably propaganda-free but also taboo-busting as a social document of life during wartime in the Soviet Union. 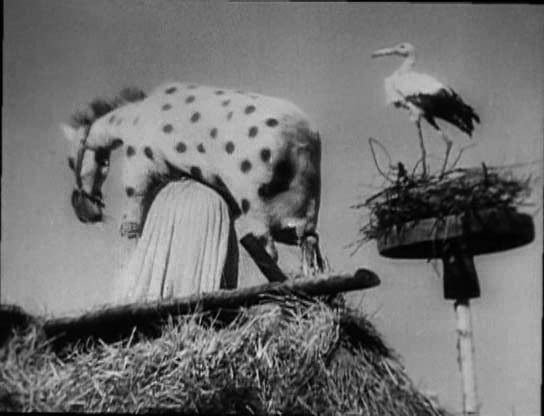 If one wants to understand Andre Bazin’s theory of the relationship between long-take, deep-focus images and “realism,” this masterpiece from the legendary Mikhail Kalatozov (Salt for Svanetia, I am Cuba) could handily serve as “Exhibit A.” The title refers to shots of birds in flight that bookend the film but it might equally refer to the epic crane shots that Kalatozov employs throughout, which give the film an awesome sense of fluidity. As much as I admire Laurence Olivier and Kenneth Branagh’s versions (not to mention Michael Almereyda’s underrated postmodern take), Grigori Kozintsev’s 1964 adaptation remains far and away my favorite film adaptation of Hamlet. It strikes me as being the most realistic as well as the most cinematic: the action is captured almost entirely in long and medium shots via beautiful black and white ‘Scope cinematography and, combined with the stunning locations (including a real beach and a massive castle set that took six months to construct), they conjure up a gloomy, atmospheric mood perfectly suited to the story. 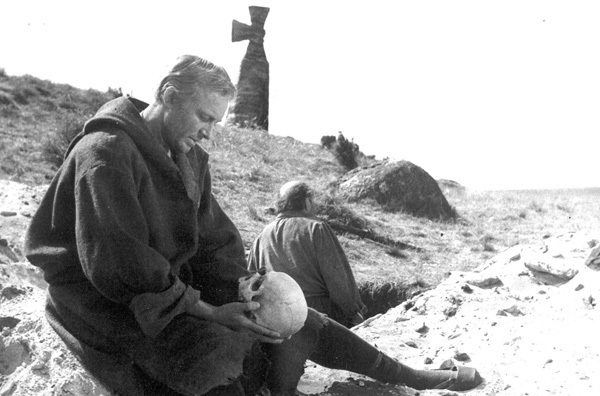 Interestingly, Kozintsev stages Hamlet’s soliloquies as internal monologues; the “To be or not to be” speech is presented as voice-over narration as Hamlet wanders alone along a barren, rocky shoreline. This is also in many ways a uniquely Russian production: the script is base on a lauded 1941 translation by Boris Pasternak (Doctor Zhivago) and the great original score was composed by none other than Dmitri Shostokovich. 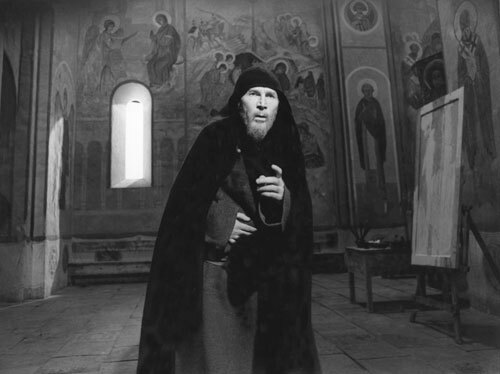 Andrei Tarkovsky’s austere, epic biopic of the famed 15th century icon painter is for my money the greatest movie ever made about the life of an artist. Told in vignette fashion, Tarkovsky depicts Rublev’s story against the turbulent backdrop of medieval Russia during the Tatar invasions. The highlight is the climactic sequence where Rublev, who has sworn a vow of silence in protest of the horrors he has seen, witnesses a mere boy overseeing the arduous process of the casting of a giant bell. The boy saves himself from government execution by successfully casting the bell in spite of the fact that he doesn’t really know what he’s doing. At the conclusion of this awe-inspiring 30 minute scene, the depiction of a miracle that feels like a miracle of filmmaking, Rublev is inspired not only to speak again but to continue painting and to create his greatest works. Sergei Parajanov’s biopic of the 16th-century Armenian poet Sayat Nova is probably the least conventional take on its subject one could imagine. This might be better referred to as a work of poetry in its own right rather than a film about poetry – a series of fragmented, lyrical, incredibly beautiful scenes from the life of the famed poet (played by actor Sofiko Chiaureli, who also plays four other roles) that employ a purposeful, symbolic use of color, and contain barely any dialogue. This was, unsurprisingly, heavily censored (and even retitled) by Soviet authorities upon its initial release. The homoeroticism, religious imagery and overall abstract nature apparently made them very nervous. But you can’t keep a good film down: the uncut version of The Color of Pomegranates was re-released to wide acclaim in the 1980s and is a frequent staple on the “best of” lists of many critics and cinephiles. A lot of the films on this list are dark, heavy, serious and slow-paced dramas (especially those immediately preceding and following this entry). This is partly a reflection of my personal taste and partly due to the way Russian and Ukrainian art films have always tended to receive wider distribution internationally than the movies that have been more popular domestically. I am, however, delighted to include at least one crowd-pleasing comedy on this list, Eldar Ryazanov’s legendary The Irony of Fate, or Enjoy Your Bath!. This feel-good, sentimental rom-com is paradoxically both Russian-to-the-bone and universal in its broad appeal: the screwball premise is that Zhenya, a shy doctor, is about to be engaged. After binge-drinking with friends on New Year’s Eve he ends up passing out in an apartment in Leningrad that he mistakenly believes is his own Moscow apartment (it looks the same and even has the same street name and number). Hijinks ensue when the apartment’s true tenant, Nadya, comes home and discovers this strange man in his underwear in her bed. The confusion engendered by this “compromising position” causes problems for not only Zhenya and his fiancee but Nadya and her fiancee as well. What starts off quite farcical (who knew that the uniformity of Brezhnev-era architecture could yield such comic gold?) slowly, almost imperceptibly, turns into a moving romantic drama. I’m told that this still plays on television in Russia every New Year’s Eve, holding the same beloved place in their culture that It’s a Wonderful Life does in America. Larisa Shepitko was a director of enormous intelligence and integrity who tragically died in a car accident at the young age of 40 (with many more great movies undoubtedly ahead of her). The final film she completed before her death is this harrowing, indelible masterwork about the persecution of partisans in Nazi-occupied Belarus during World War II, which some feel is the finest Soviet film of the 1970s. In adapting a novel by Vasili Bykov – about the two Soviet soldiers and their futile mission to find supplies in a bleak, snowy landscape populated by Nazi collaborators – Shepitko has crafted an experience so austere, and infused it with so much Christian symbolism, that she makes Tarkovsky look both secular and populist. The drastically different way that her two protagonists meet their fates allows for Shepitko to engage the viewer in a dialogue of uncommon moral complexity. For sheer intensity, this wartime drama is topped only by her husband Elem Klimov’s Come and See from eight years later (see below). Veteran director Elem Klimov’s final testament, Come and See, is the single most disturbing, and therefore effective, war movie I have ever seen. This tackles somewhat similar terrain as The Ascent, the final film of Larisa Shepitko (Klimov’s late wife) in that it concerns the conflict between Belarussian partisans and their Nazi occupiers during the height of World War II. What makes this film so unsettling and unforgettable is that all of the events are seen through the eyes of a little boy, a Belarussian peasant who joins the partisans and thus witnesses horrors that no one should ever have to face, least of all a child. Before the horrors begin however, there is a mesmerizing, almost unimaginably lovely sequence in which Florya, the protagonist, witnesses a young girl dancing on a tree stump in the rain, as well as a surreal coda in which images of Hitler’s life are shown in reverse order from adulthood all the way back to when he was himself a child. Without these bookending sequences, the film’s depiction of unending suffering might well be unwatchable. Klimov said he lost interest in making films after Come and See, stating, “Everything that was possible I felt I had already done.” He’s not exaggerating. Today, the silent Soviet cinema is primarily thought of as either the birthplace of “montage editing” (the use of quick cutting to compress time, space or action in a collage-like fashion) or as an era in which the only films made were government-approved Socialist propaganda. The reality of course was far more complex than that. While all of the major Soviet directors of the day (Russians Sergei Eisenstein, Dziga Vertov, Vsevolod Pudovkin and the Ukrainian Aleksandr Dovzhenko) believed that editing should form the basis of how movies were made, they each had very different ideas about exactly how and why montage should be employed. Also, while a lot of the most famous Soviet silents (i.e., the ones everyone is forced to watch in film school) are unquestionably propagandistic, to explore them in depth is to realize that the era’s best work is impressively diverse, encompassing comedies, melodramas, adventure serials, science-fiction epics and more. Indeed I have no qualms about calling it one of the great periods in cinema history. The following list of a baker’s dozen titles, limited to one film per director, is consciously meant to underscore the era’s diversity. Lev Kuleshov is best known today as the namesake of the “Kuleshov effect,” the result of an influential editing experiment involving found footage that illustrated how editing can cause viewers to project their own emotions onto a film’s characters. But he was also a damn fine director in his own right as this wacky comedy proves; “Mr. West” is a rich American who travels to the Soviet Union with his faithful sidekick, a cowboy(!) named Jeddy, and discovers to his amazement that the Bolsheviks are not the evil barbarians that the American press had led him to believe. The evenhanded way Kuleshov satirizes both American and Russian stereotypes is impressive, as is the crack comic timing demonstrated by future director Boris Barnet who performs some Buster Keaton-esque slapstick stunts as Jeddy. This fascinating, early science fiction film tells the story of Los, a Moscow-based scientist who travels to the capitalistic planet Mars, where he leads the enslaved working class in a popular uprising against their totalitarian leader. 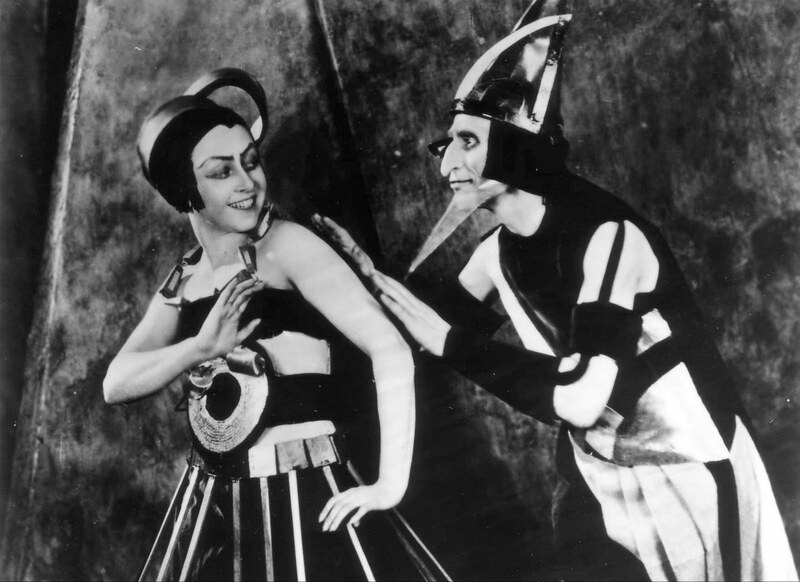 The Moscow scenes, which comprise most of the film’s running time, are not nearly as fun as the Mars sequences, which feature some charming German Expressionist-influenced sets and costumes. But this is unmissable for fans of the sci-fi genre as it is essentially the missing link between George Melies’ A Trip to the Moon and Fritz Lang’s Metropolis (whose depiction of robotic workers was clearly taken from here). A wealthy American businessman, a lowly but chivalrous office clerk, a lascivious film director and a lovestruck cameraman all find their lives intersecting with the title character, a beautiful street vendor played by the delightful Yuliya Solntseva (Aelita). The use of “web-of-life” plotting and a focus on the every day lives of Muscovites (which includes a mind-blowing self-reflexive strain in a subplot where the cameraman is commissioned to make a movie about “every day” Moscow) mark this unusually ambitious comedy as both a priceless document of its time as well as a film well ahead of its time. Think Robert Altman at his finest without the irony or condescension. The film that launched a worldwide revolution . . . in terms of editing! The most famous of all silent Russian movies is Sergei Eisenstein’s 1925 masterpiece about a failed revolution that took place twenty years earlier. 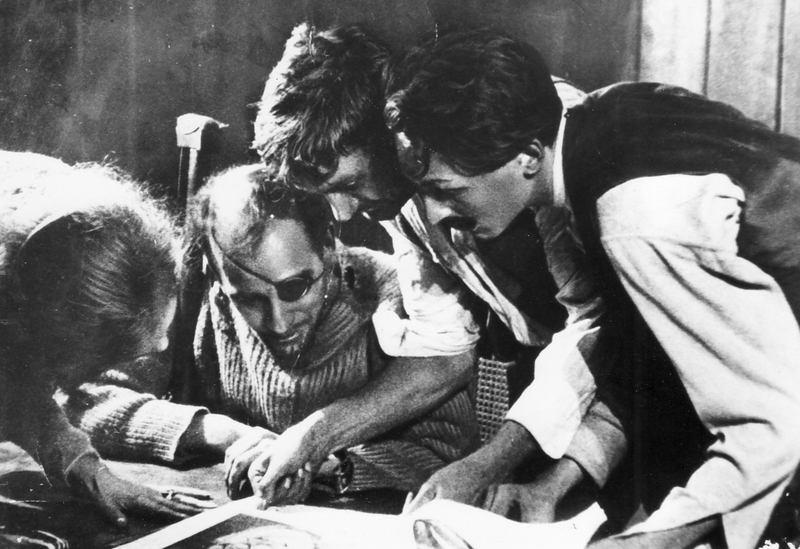 The crew of the battleship Potemkin rebels against unfair living conditions (including being told to eat maggot-infested meat), which causes them to mutiny and kill their commanding officers. When the ship docks in the port city of Odessa, the revolutionary fervor spreads to their comrades on land until the White Russian army is called in to crush the rebellion. The ensuing massacre is justifiably one of the most famous scenes in film history, a frenetic, rapidly edited montage that purposefully breaks the rules of classical editing in order to convey an overwhelming impression of violence and chaos. Whenever you see a shot of a baby carriage rolling down a flight of stairs in a T.V. show or movie, this is what’s being referenced. Like Battleship Potemkin, this documents a failed revolution circa 1905. But, unlike Eisenstein, who presented the Russian people en masse as a kind of collective hero, director Vsevolod Pudovkin chooses to focus his narrative more intimately on a few well-drawn characters in an attempt to put a more human face on the working class struggle. The plot focuses on a conflict between a father and son who find themselves on opposite ends of a factory strike and the mother who is forced to choose sides between them. She eventually picks up the banner of revolution in a memorable ice-floe climax that tips its hat to D.W. Griffith’s Way Down East. Abram Room’s astonishing comic melodrama, about a menage-a-trois between a factory worker, his wife and the friend who comes to stay on their couch, is one of the most ahead-of-its-time films of the entire silent era and a kind of prototype version of Francois Truffaut’s Jules and Jim. 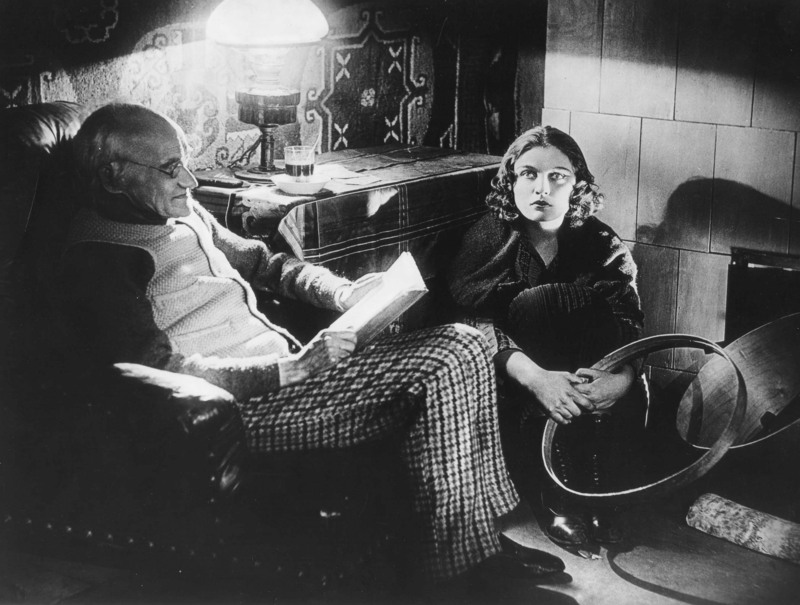 After the wife (powerfully played by Lyudmila Semyonova) turns from one man to the other and back again, all three characters eventually settle into a “progressive” living arrangement. Shockingly frank in its depiction of sexuality, abortion and female independence, this is the first movie to which I would steer anyone who believes that Soviet films of the 1920s were merely propaganda. 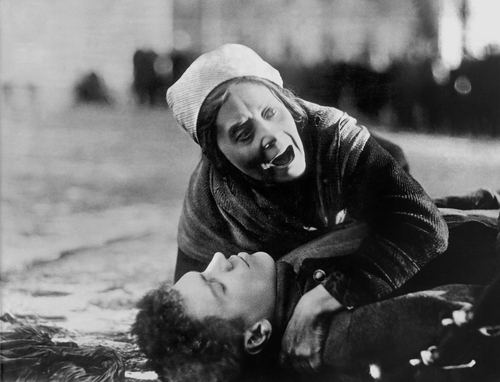 Esther Shub was the most prominent Soviet female director of the silent era and The Fall of the Romanov Dynasty is her masterpiece, a documentary that uses found footage to tell the story of the root causes and after effects of the Bolshevik revolution. 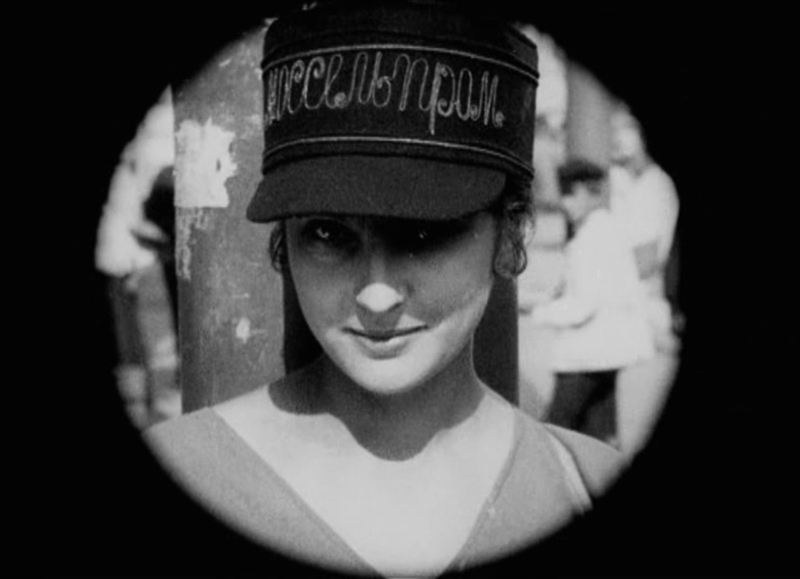 Shub was a colleague and friend of Dziga Vertov but eschewed his modernist, self-reflexive style in favor of what she termed “editorialized newsreels,” which saw her cut together historical footage (much of it shot prior to 1917 by other hands) with title cards that offer a Marxist interpretation of Russian history from 1913 to 1927. Brilliantly edited, informative and accessible, this is one of the best places to start understanding both the silent Soviet cinema and early 20th century Russian history. Directed by the unjustly unknown Boris Barnet, this awesome Hollywood-style romantic comedy tells the story of Natasha, a comely young woman who makes hats for a living and commutes from her rural village to Moscow in order to sell them. She agrees to an altruistic marriage of convenience in order to provide boarding to a homeless college student; ironically, when Natasha comes into possession of a winning lottery ticket worth 25,000 roubles, her “husband” is the one man in her life who is not interested in her fortune. Energetic, witty and fast-paced, this builds to a memorable climax under Barnet’s sure hand. Dziga Vertov’s radical experimental/documentary hybrid shows “a day in the life” of Moscow circa 1929 although the film had been shot over a period of several years in multiple cities including Moscow, Kiev and Odessa. The strobe-effect editing is mind-blowing even by today’s standards (the average shot length is less than three seconds) and the film is so densely packed with ideas that even after dozens of viewings, I find that it still has secrets to reveal. But this is more than a “city symphony” film; it’s also one of the greatest movies ever made about the act of filmmaking, showcasing the talents of not only Vertov but his brother Mikhail Kaufman (the cinematographer who also frequently appears on screen as the title character), and his wife Yveta Svilova (the editor and the film’s true hero). The result is a film that playfully calls attention to the filmmaking process and its almost magical ability to record and transform reality. 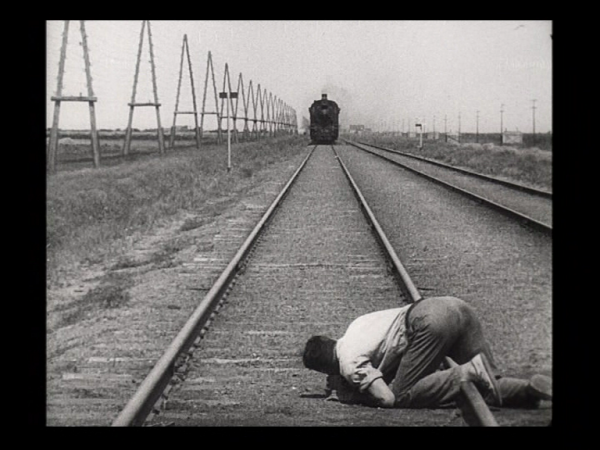 One of the best and least propagandistic documentaries of the silent Soviet cinema is this straightforward account of the building of a railroad across central Asia – stretching all the way from Siberia to Turkestan. The filmmakers show how the railroad is necessary for the transportation of cotton and grain and its construction is presented as a triumphant example of both engineering and the can-do Soviet spirit. This is full of stirring, poetic imagery of nameless figures toiling in a rugged landscape and exerted a massive influence on British documentaries of the early sound era (e.g. Night Mail). 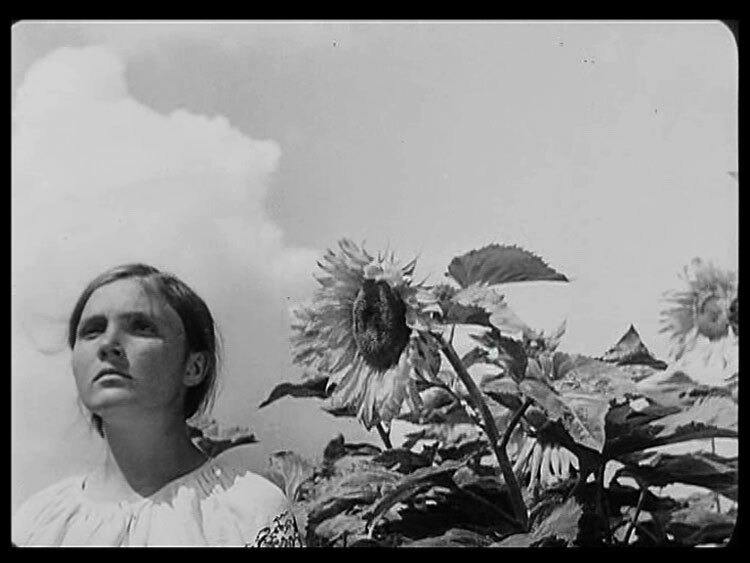 My favorite Soviet film of the silent era is Aleksandr Dovzhenko’s Earth, whose slender narrative about the virtues of collective farming in the Ukraine is merely an excuse for the director to present a succession of rapturously beautiful painterly images: wheat fields waving in the wind, rain falling on fruit, a young woman standing next to a giant sunflower, and a series of unforgettable faces, often framed in low-angle close-ups, that resemble paintings of religious icons. Dovzhenko got his start as a painter and cartoonist and his purely visual approach to storytelling would serve as a model for future Soviet directing greats Andrei Tarkovsky and Sergei Paradjanov. Mikhail Kalatozov is best known for his 1964 Russian/Cuban co-production I am Cuba, one of the most amazingly photographed movies ever made. But this early ethnographic documentary, made over thirty years previously, shows that he was always a restless experimenter in search of extraordinary images. The subject of the film is a remote Georgian village whose population is suffering due to a lack of salt. 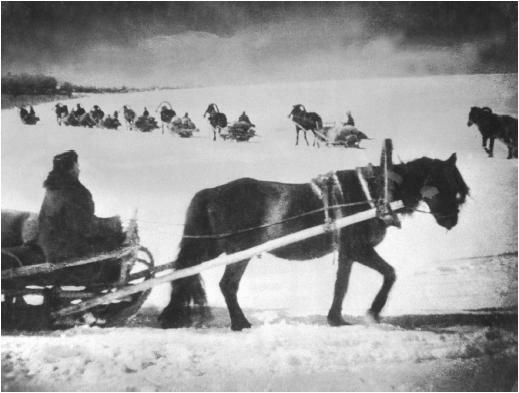 The exciting climax shows how the building of a new road ultimately connects this village to the rest of Soviet civilization, which promises to bring both health benefits as well as intellectual enlightenment (Kalatozov presents the Svan people’s Christianity as Exhibit A that they are a primitive, backwards people.) Like Nanook of the North this may have been mostly “staged” but that does not detract one iota from the film’s beauty and power. A ridiculously funny slapstick comedy about the life of a lazy farmer both before and after the Bolshevik revolution. The farmer (named, appropriately, “Loser”) and his wife, like many Soviet movie characters of the era, are only able to find true happiness in collective farming. Director Aleksandr Medvedkin, who was the subject of Chris Marker’s superb documentary The Last Bolshevik, claimed late in life that the film’s satire was subversively directed at the Bolsheviks and their futile dreams of happiness. 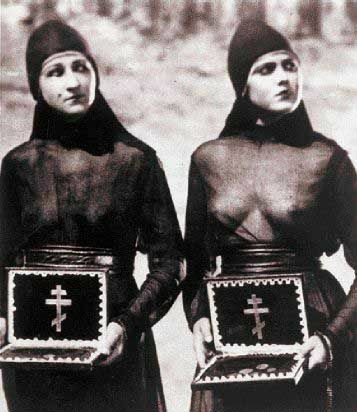 Whether that is true or wishful thinking in hindsight, one thing is for sure: Happiness is full of unforgettable comic images – from a spotted horse to nuns wearing see-through habits – and if that can’t demolish Western stereotypes about “Soviet austerity,” nothing can.